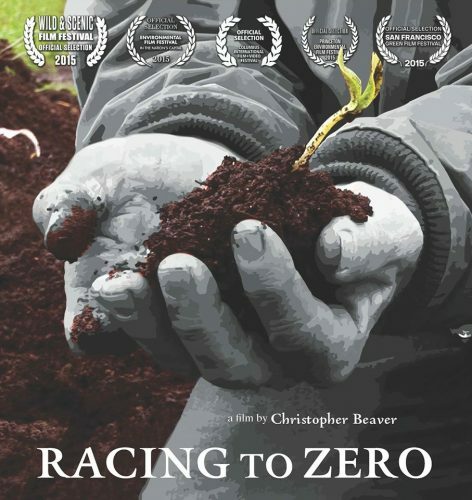 “Racing To Zero” is a quick-moving, upbeat documentary presenting new solutions to the global problem of waste. Only one-third of the waste in the United States is recycled or composted. “Racing to Zero” examines today’s cultural garbage practices in terms of consumption, preparation, use and production. In order to reach zero waste, we need to change our relationship to garbage and how to view the things we discard as resources, rather than waste. By simply substituting the word RESOURCE for the word GARBAGE, a culture can be transformed, and a new wealth of industries can emerge.